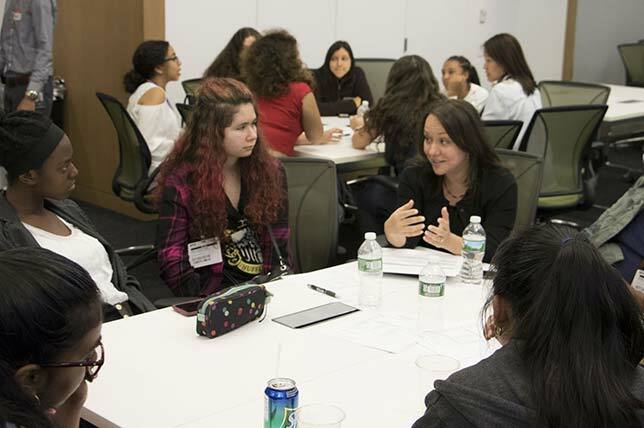 Recently, a group of high school women spent three weeks as participants in the Computer Science for Cyber Security (CS4CS) program, picking up fundamentals at the NYU Tandon School of Engineering. Nearly 50 students attended classes at the downtown campus of the university, where they learned about programming, computer architecture, careers in computer science and cybersecurity and how to do professional networking. Now they're expected to return to their schools and serve as "computer science and cybersecurity ambassadors" and recruit a team of classmates to compete in Cyber Security Awareness Week, Tandon's annual cybersecurity competition. The program is led by members of Tandon's Department of Computer Science and Engineering and the Offensive Security, Incident Response and Internet Security (OSIRIS) Laboratory. Tandon sponsors numerous summer-time activities. In June almost 300 middle school and high school students partook of half a dozen programs. Almost six in 10 were female students. Activities took students into numerous campus labs, including those doing research on soil mechanics, music and audio, mechatronics, biomolecular engineering, genomics and molecular anthropology.